Draintech can use the latest technology to survey the Drainage lines to determine whether there is a rat/vermin issue. 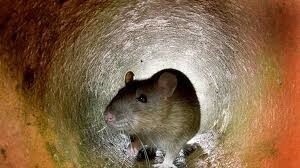 Rats can climb vertically up walls and drain pipes and it’s a known fact amongst some that rats are good swimmers and will enter buildings through broken drains and sewers. Bearing this in mind Draintech can survey the line and highlight key areas where Rats may gain access. Draintech will offer solutions to repair the sewer line.